DI Dr. Karl Anton Zach Education: Master in Electrical Engineering and PhD in Energy Economics at the Vienna University of Technology Work Experience: 2009 – 2013 PhD Student at the Institute of Energy Systems and Electrical Drives at the Vienna University of Technology with focus on grid and market integration of renewable energy sources within European R&D projects. 2014 – 2016 Project Manager at cyberGRID GmbH, responsible for commercial and R&D projects in the field of demand response and virtual power plants. 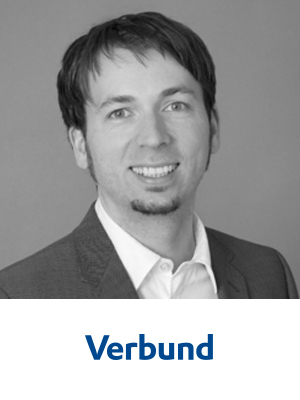 In 11/2016 he joined the working group of Hydrogen & Storage in the VERBUND Solutions GmbH and is project manager for the project “SYNERG-E”.